SC and NC Residents Get 1/2 Off Ripley's Attractions in August! If you are a South Carolina or North Carolina resident who is traveling to Myrtle Beach in August, all the area Ripleys attractions have a great deal for you! With valid ID, residents of North and South Carolina get 50% off their general admission tickets, just in time for your last-minute summer vacation! Ripleys offers five different attractions in the area. 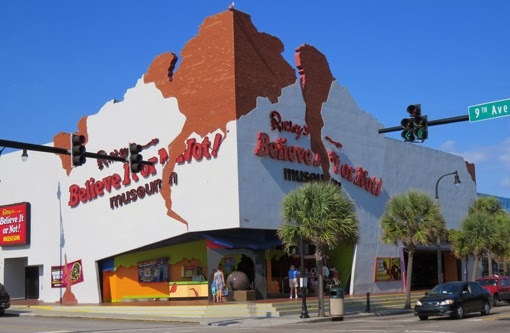 On Ocean Boulevard just across from the Myrtle Beach Boardwalk you will find their Ripleys Believe It Or Not museum, housing all sorts of off-the-wall and one-of-a-kind exhibits and collectibles. Just down from the museum resides the 5D Moving Theater and the Haunted Adventure, both packed with thrills and chills for visitors of all ages. If you find yourself at Broadway at the Beach, Ripleys has two additional attractions to wow guests. Try finding your way out of their Mirror Maze, located on the 29th Avenue side near Landrys. Finally, check out one of the best aquarium experiences around at Ripleys Aquarium, recently voted one of the top twelve aquariums in the country! If you have not booked for August there is still time, and with great offers like this and new special discounted rates, make plans to come visit us in Myrtle Beach today!